During my time working in China, I learned so much about Chinese traditions, cultures, beliefs, and history. One day while at work, I went out in search of a specific product. Like any passionate photographer, I had my camera with me just in case something caught my eye. The areas were divided into business sections. For example area A was only for plumbing, area B was only for carpentry, and where we were, area C, was only for gardening supplies. While searching for the product, I came across this child playing in front of his parents’ store. 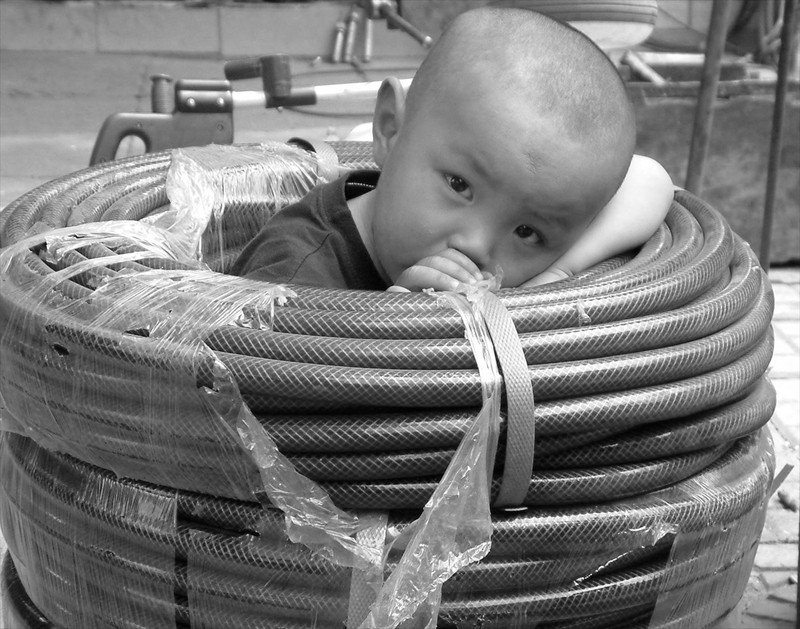 I thought it was wonderful to see this child having so much fun inside this simple roll of gardening hose. After gaining permission from his parents, I captured a few dozen images of this child at play.